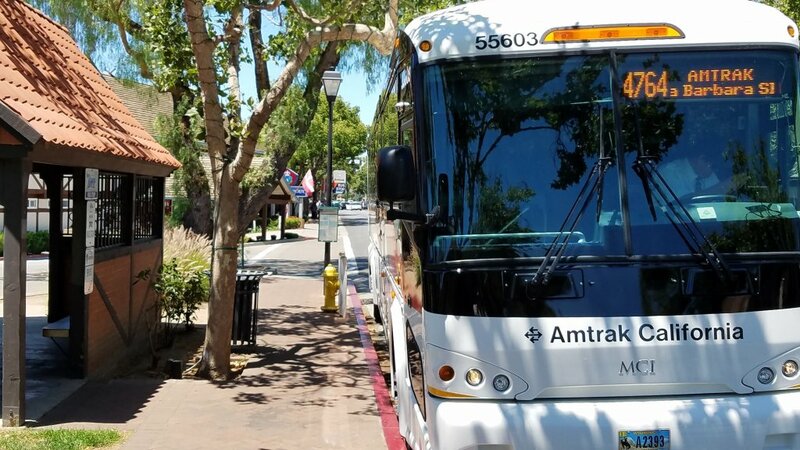 Car Free Travel--Take the Train & Show Your Ticket for Solvang Savings & Specials. Show your ticket to participating Solvang businesses listed below. First, be sure to visit the Solvang Visitor Center, 1639 Copenhagen Drive, open 9:00 a.m.-5:00 p.m. daily (behind the Solvang Park bus stop) for FREE 2019 Destination Guide, maps, savings coupons and gift of audio ear buds—perfect for enjoying the new Solvang Heritage Walking Tour App. See below for last year's #carfree promotions. New carfree deals to be posted no later than April 30th. 8 newly renovated guest rooms, decorated with bright and fun Danish Modern furnishings and surround a private courtyard. Just a few steps from Danish bakeries, shopping, unique restaurants, and wine-tasting rooms. Receive $10 off weeknight stay for the Atterdag Inn with an Amtrak ticket. Elverhøj Museum of History & Art is housed in a Danish 18th Century-style former home of two artists. Exhibits focus on Sovlang’s history and Danish cultural heritage; the art gallery has dynamic changing exhibitions featuring local, national, and international artists. The museum store offers Danish-themed products and unique art-related items. We are closed Monday & Tuesday, open Wednesday – Sunday 11 am-4pm. Closed most major holidays, but call to be sure. 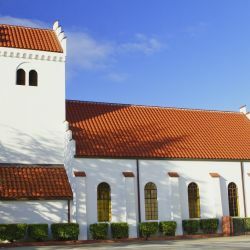 Santa Barbara County's premier Wine Tour -- offers an insider's view of Santa Ynez Valley wineries. Get ready for a fun-filled day visiting a variety of wineries, each with a character as rich and individual as the wines they produce. 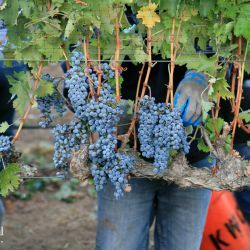 Whether you're interested in Grapeline's popular Vineyard Picnic Tour, or in a private group outing, Grapeline offers fun, carefree, hosted tours throughout Santa Barbara Wine Country. 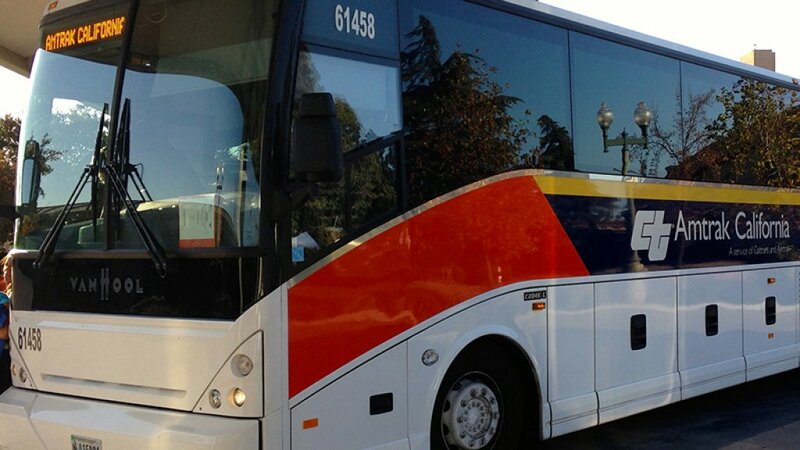 Come discover the preferred destination of travelers visiting the Santa Ynez Valley, the Holiday Inn Express Solvang. 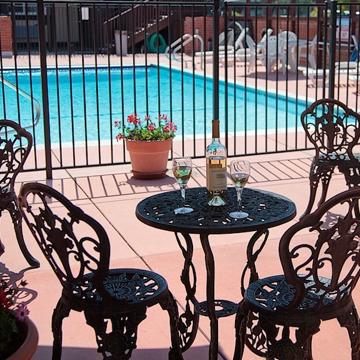 We are located in the Danish Town of Solvang, walking distance to all of its major attractions. We offer quiet rooms with balconies facing the Hans Christian Anderson Park, free hot breakfast, heated swimming pool/jacuzzi, free Wifi and a 1200 sq. feet meeting room. Must show Amtrak Ticket at time of check in. 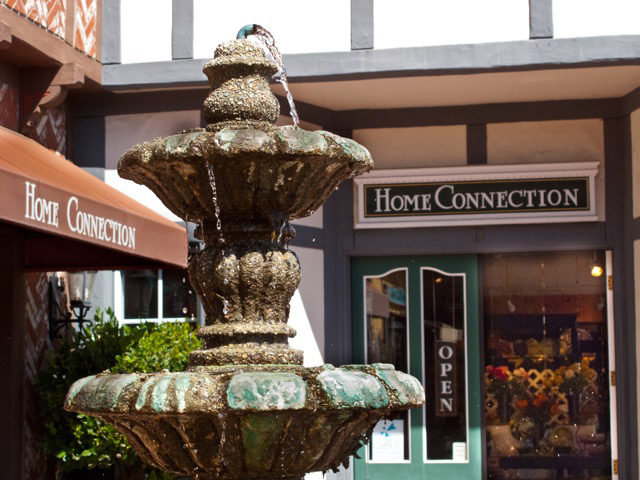 The Home Connection was established in 1990, by a Mother-Daughter team as a bridal registry for Solvang. Since then the store has grown in size, expanding into many home accessories, lighting, area rugs, collectible gifts, unique kitchen gadgets plus educational games & toys. In 2007 they welcomed in Simply Amish Furniture. They take pride in providing quality USA merchandise with competitive pricing. 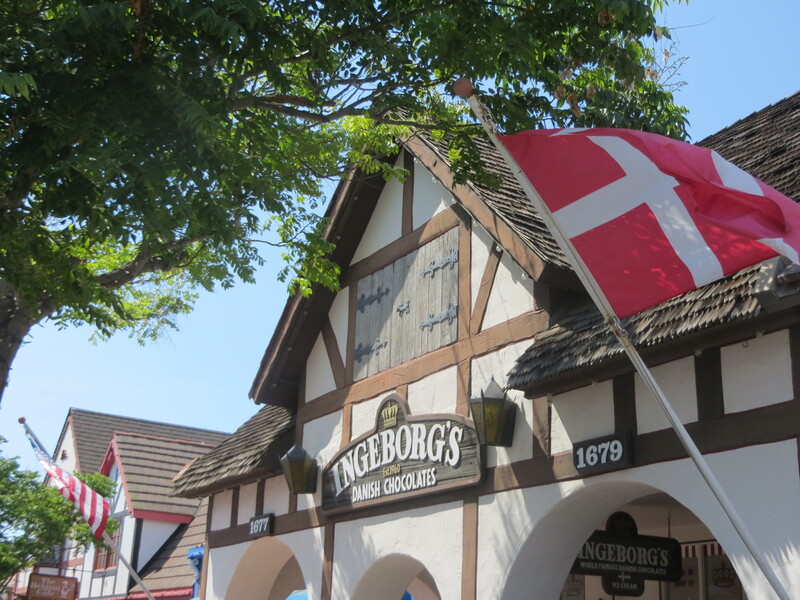 Show your Amtrak ticket at Ingeborg's Danish Chocolates and receive 15% off your purchase now through December 31, 2018. Fun and easy to ride, see and learn about Solvang and have a lot of fun doing it. Buy 1 ride and get second ride at 50% off. *Must be at least 14 years old. Must not weigh over 250 pounds. 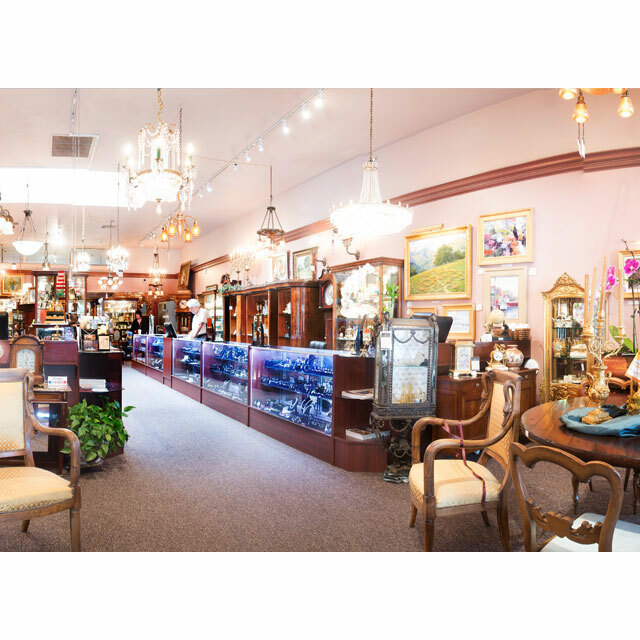 With over 40 years' experience, Solvang Antiques features exquisite antique, vintage & estate jewelry, fine 18th & 19th C. furniture and an exceptional selection of restored antique clocks, watches & music boxes, antique lighting, decorative accessories. 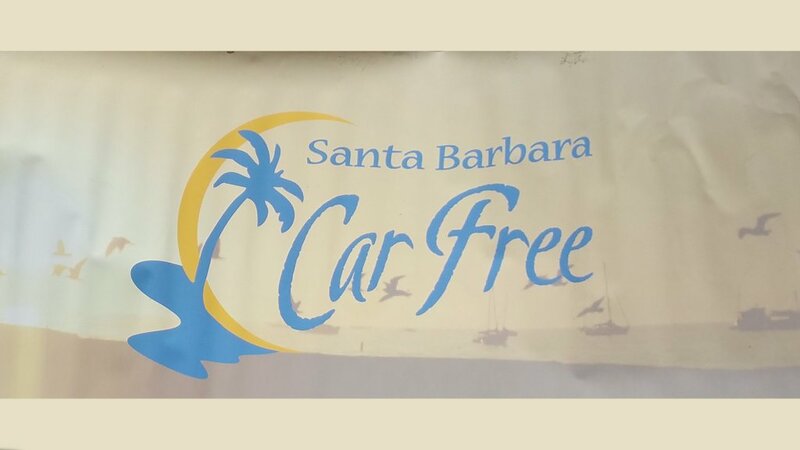 Show your Amtrak ticket or mention #SolvangCarFree and receive 15% off storewide, excluding sale items. Located in a quaint and cozy underground cellar, is a retail bottle shop, bar and tasting room representing over 30 unique, local, small production wines as well as offering the largest selection of California Craft Beer in the SYV, both bottle and draft. Wheel Fun Rentals' has a wide variety of Surrey Bikes, and two wheeled bicycles that allow you to see Solvang’s’ quaint downtown village. Additionally we offer a self -guided bike tour that is the perfect way to discover Solvang and Santa Ynez Valley. Riders will start at our quaint downtown Solvang location to be professionally fitted with a hybrid bike. 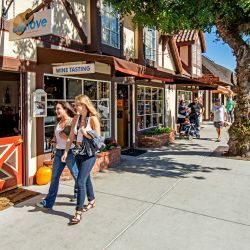 From there, we explore whimsical downtown Solvang, and continue through the Santa Barbara County's wine country and the majestic Santa Ynez Valley passing beautiful parks, farms, vineyards and more. Get the 2nd hour free with your Amtrak ticket on all surrey and bike rentals. A beautiful non-profit museum that uses art exhibitions and programs to celebrate nature and wilderness. Also, features a great gift shop with unique and handcrafted items. Receive two -for-one admission with an Amtrak ticket.